The General Aviation Manufacturer Association (GAMA) unveiled the delivery figures for general and business aviation in late February. The overall figures remain encouraging despite the turboprop segment showing a slight decline for the second year running. The association, led by Phil Straub, Executive Vice President and General Manager of Garmin Aviation, met on February 21 to give an overview of aircraft deliveries for the year 2017, which are increasing including in the general and business aviation sectors as well as the helicopter sector. The figures show a 2.5% leap in deliveries across all segments compared to 2016. 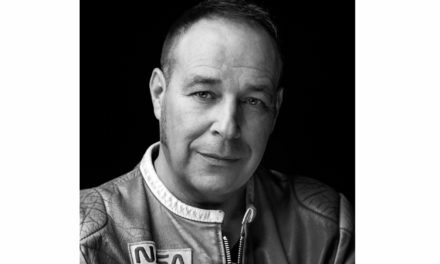 2,324 units were delivered worldwide in 2017, compared to 2,268 the previous year. However, this increase will have had little impact on the financial results of aircraft manufacturers because, despite increased deliveries, the total turnover of these decreased by 4.2% from $ 21.1 billion in 2016 to $ 20.2 billion last year. For the CEO of the association, Peter Bunce, “The year-end results for 2017 are encouraging, in particular due to the growth of deliveries in the field of business aviation, piston aircraft as well as in the rotorcrafts”, before adding “We are optimistic for the future given the very positive economic indicators, the stabilization of the business aviation market as well as the evolution of manufacturing techniques and the innovation of new technologies aimed at future intra-urban transport programs, but also electric and hybrid propulsion modes”. The future seems to be getting brighter for section of the business aviation sector, namely the manufacturing of jets. After two consecutive years of sharp decline, this segment experienced a rise in deliveries of 1.3% in 2017 alone. 676 aircraft, all sectors combined, were delivered against 667 the previous year. While the rising figures are a good indicator, it is too early to speak of a full recovery in this aerospace sector. This fragile trend could be thwarted particularly in Europe, due to prolonged Brexit negotiations creating de facto uncertainty on the output of the United Kingdom and of Europe. In addition to the old continent, the US / North Korea tension remains present, which could in turn reduce the confidence of certain investments, particularly in Asia. Despite these elements, the fact remains that the two largest economies in the world and the driving force in business aviation, North America and Europe, continue to grow at a relatively steady pace. The US economy ended 2017 with growth up 2.3% over the previous year. The same goes for the Eurozone, which ended the year with a growth of 2.4% and is expected to maintain its pace of 2.3% in 2018. 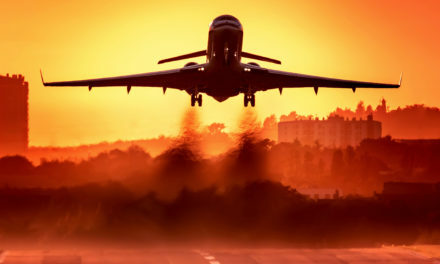 The signs of recovery could therefore give a new impetus to the business aviation market, which since 2008 has been navigating in troubled waters. Unsurprisingly, North America still remains the largest business jet market in the world with a 63.8% market share up 1.8 points over the previous year. This shows points earned over Europe which still stands in second place: 17% of total deliveries against 18.8% in 2016. Asia-Pacific maintains its third place with 9.9% of market share, still far ahead of Latin America which is down (5.3% in 2017 against 6.2% in 2016) and the Middle East is also in regression with 4% of total worldwide aircraft deliveries against 5.3% the previous year. Last year marks an undeniable turning point in market behavior, especially for the business jet manufacturers. The 1.3% increase, which benefits the jet sector, is also correlated with the rise in production power of certain aircraft, particularly the HondaJet. The HA-420 of the Japanese firm has seen its pace increased from 23 aircraft in 2016 to 43 in 2017. Same for the Cirrus Aircraft, which began the series production of the SF50. The aircraft, which received its EASA certification in May 2017, actually had 22 aircraft produced over the year. As for historic builders, the trend is however downward on the delivery side. With 140 aircraft delivered in 2017, Bombardier lost some ground for the second consecutive year with 140 aircraft delivered against 163 in 2016. 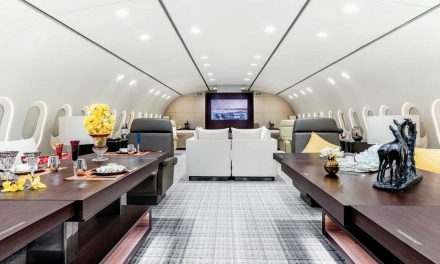 Deliveries of the Global aircraft, the Canadian aircraft manufacturer’s upscale range, have eroded for three consecutive years. However, the production output of 56 Challenger 350 aircraft, allows the manufacturer to capture 53% of the super-intermediate aircraft segment. This aircraft came into service in 2014, and despite the crisis, has experienced a solid pace of deliveries in its first years of production, crossing the 200 units delivered threshold in 2017. If for Dassault the year 2017 signifies the end of the Falcon 5X program, it is also synonymous with stable production output with 49 aircraft being delivered. A figure higher than the manufacturer’s prediction who counted on 45 aircraft being delivered, the result of orders registered for delivery within the year. 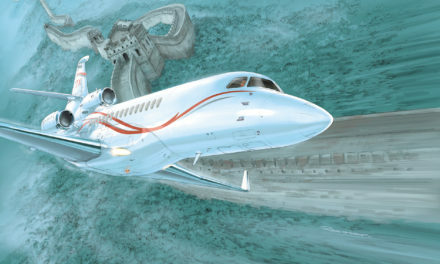 As for its orders book, the Saint-Cloud aircraft manufacturer recorded 41 new contracts, but also canceled 3 Falcon 5X. A less complicated year than expected for Dassault’s civil range, who have achieved, among other things, the delivery of the 2500th Falcon, the internal launch of the Falcon 6X, replacing the 5X and the launch of the necessary investments for the future Falcon. For 2018, the aircraft manufacturer is planning the delivery of 40 Falcon, the company having responded to weak orders in previous years by prudent management and slowing production. For Gulfstream, the year 2017 shows for its part an increase in deliveries with 120 aircraft delivered against 115 the previous year. The G650, at the high-end of the brand’s offerings, remains the Savannah aircraft manufacturer’s sales driver, and the arrival of the G500 should benefit the Savannah 2016 aircraft manufacturer which remains, for now, alone in this niche. At the same time, the year 2017 also marks the end of the G450 production line and the delivery of the last aircraft in February of this year. Embraer have however had a slow year with 109 units delivered (against 117 in 2016). The Brazilian firm still benefits from the market’s enthusiasm for its Phenom 300 with 54 aircraft delivered. The Legacy 450 and 500, however, have struggled with finding success. The two models have delivered 29 units combined, four fewer than last year. For its part, Cessna delivered 180 jets. A slight improvement for the Wichita aircraft manufacturer compared to the previous year, due in particular to the market craze for the Citation Latitude. For the second year in a row, it was the most-delivered business jet in the middle segment. Deliveries of the Latitude 2017 have thus increased by 30% between 2016 and 2017 to reach 54 deliveries. The Wichita aircraft manufacturer is still taking advantage of the slight recovery in the entry-level jets segment with the delivery of 39 Citation M2, faced with ever present competition from the Embraer Phenom 100E but also the HA-420 of HondaJet. In contrast to 2016 the turboprop market has not managed to do so well. However, this aircraft segment could again experience a rapid expansion, especially in Europe with the adoption, last year, by the European Aviation Safety Agency (EASA), of regulations for commercial monoturbine transport, for both night-time and IFR conditions. Builders see it as a new breath of fresh air for their products and a second wind for this market that saw a fall of 3.3% of deliveries in 2017. This decline has not dramatically affected the production of Pilatus and especially its PC-12NG which has kept its footing with 85 units produced. For its part, Daher, which has two models in its catalog, the TBM 910 and TBM 930, delivered 57 machines in 2017 against 54 in 2016. Despite the turbulence of the market, the French aircraft manufacturer has resisted well and even has the luxury of achieving the 2nd best commercial year in the history of this aircraft, particularly thanks to the North American market, the main sales region for its aircraft. 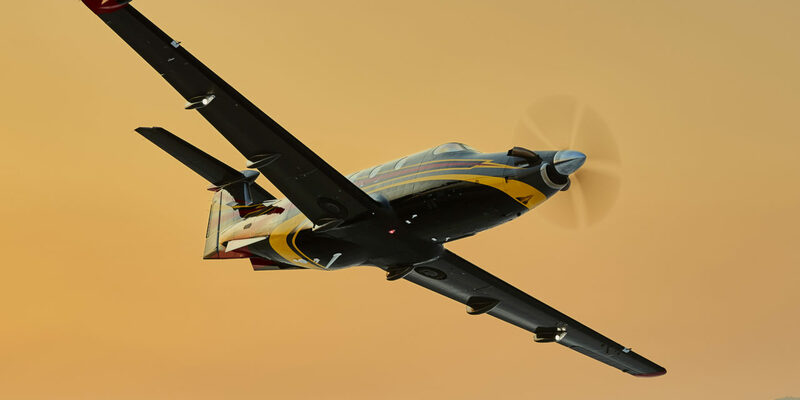 The only downside, the American Beechcraft which has for its part experienced a sharp decline in deliveries, especially for the King Air 350 range and this, for the second year running. 86 aircraft, all versions of King Air combined, have thus come out of the Wichita firm’s production line, against 106 the previous year.